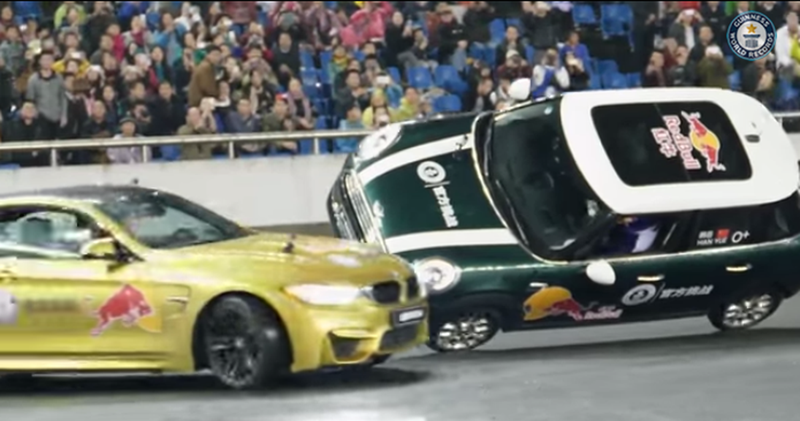 Are you wondering who holds the world record for doing donuts around a car that is driving on two wheels? Of course you are. Well, it belongs to these guys in China. Why is this a record? Well, for some reason, doing donuts around a car driving on two wheels is a record that we need to preserve for future generations, right alongside the heaviest pumpkin, tallest man, and most weight lifted with ears.